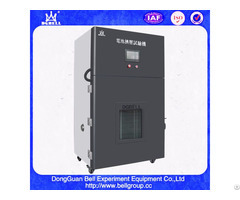 Battery large current short-circuit machine is designed to comply with standard; According to the short-circuit test requirement, the short-circuit must be less than 5 mΩ to achieve maximum current; In additional, a load-bearing capacity must be designed in electrical system for short-circuit system. 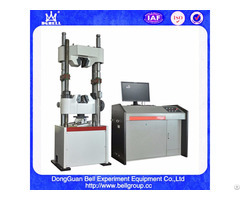 Thus, Bell R&D team selects industrial DC magnetic contact with full copper terminal and internal copper current conduction, and internal active bead axial fan is mounted to cool to ensure the test system more safer and reduce the test machine power consumption and enable the test data in accuracy. Test judgment standards: no flame or explosion after battery short-circuit test. Low temp. Ambient temp. High temp. 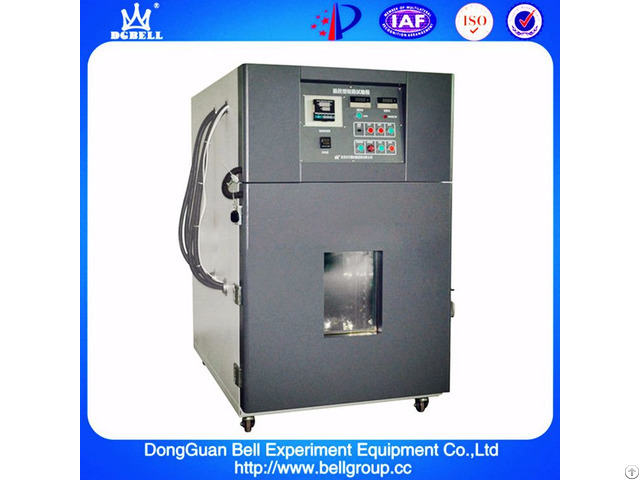 Voltage, Current Temperature Sampling, Camera Monitoring system, Fire-extinguishing system, explosion-proof system, smoke evacuation system. 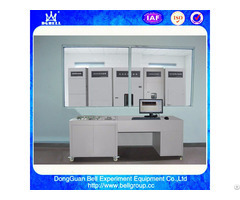 Test zone installed with high definition camera monitoring system in remote control with explosion-proof (optional). Electric leakage, over-temp., over-voltage, over-current, fault alarm, smoke alarm lamp.